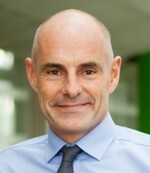 Our President and CEO Roger Burnley writes about Asda’s pledge to customers in the fight to reduce plastics. In life, we all want to make a difference. Whether it is with our families or in our communities, we want to leave a legacy that we can feel proud of. I really believe that when you serve 18 million people each week and have the ability to make a difference to them, you should do it. I want Asda’s customers to know that they can trust us to take the lead on the issues that really matter to them. So we have challenged ourselves to look at what more we can do to reduce the amount of plastic in our business and within our sector as a whole. We have an established track record in this area already, having committed to making sure that all our own brand packaging is recyclable by 2025. We have taken steps such as reducing the amount of plastic in our water bottles and removing harmful microbeads from all our own brand cosmetics. However, where we are able to go faster and harder to remove avoidable plastics from our products, we will. In the last month, I’ve asked my colleagues to work out where we could remove more plastic from our products, without impacting the quality of what is inside. It’s a balance between avoiding plastic where we can but recognising that, currently, there are instances where some plastic is necessary to make sure our products reach our customers in the best condition, to avoid waste and have a smaller environmental footprint than the alternatives. Our logic is to remove plastic wherever we can, and where it is required, to make it as recyclable as possible. For example, we are going to change the polystyrene bases in our pizzas to cardboard, removing 178 tonnes of plastic from customers’ homes. We’re also going to switch the 2.4 million plastic straws used in our cafes each year to paper. By changing our coloured drinks bottles to clear plastic, 500 more tonnes of plastic will be recycled. We will eliminate single use coffee cups and plastic cutlery from our Home Offices completely by the end of this year. Plus, we’ll be launching a ‘zero profit’ reusable coffee cup to help customers reduce their reliance on single use cups while we work to remove these from our shops and cafes by the end of 2019. 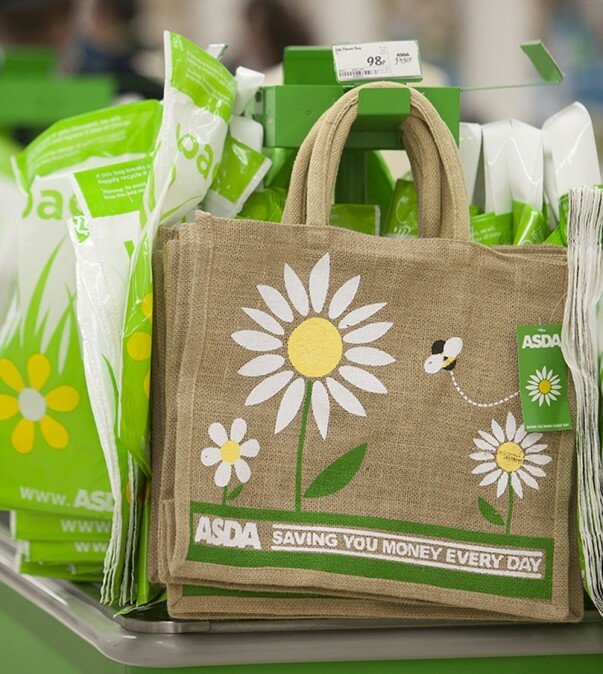 We’re also going to phase out single use carrier bags from our stores by the end of the year but we’ll continue donating to good causes using any profit from the sale of Asda Bags for Life. So far, we’ve been able to identify a 10% reduction in the amount of plastic we’ll use in our Own Brand products over the next 12 months. These aren’t merely long term ambitions – but real, tangible actions we are taking today to reduce our reliance on plastics. But as well as taking action in the here and now, I want our customers to trust that when we say we’re going to do something, we do it in the right way and have a real impact over the long term. That’s why we’ve set out our approach to plastics reduction and recycling, in detail, so that our customers can see exactly what we’re doing and how we’ll do it. In “Plastic Unwrapped – our pledge to use less and recycle more”, we’ve detailed what we’ve already done, what more we’ll do in the next 12 months, and how we’re going to keep working to reduce avoidable plastic and improve the recyclability of our products even further. We’ll provide regular updates on how we’re doing, so that our customers can have confidence in the progress we’re making. And whilst we recognise that currently plastic is the best option for some products, we don’t want it to be the only option. Tackling our reliance on plastic isn’t something that can be done in isolation. It needs partnership, collaboration and fresh thinking to create the best solution. I’m committed to promoting a culture of partnership and open cooperation, where we can tackle this problem together regardless of competitive differences. That’s why we’re entering a partnership with the UK’s leading experts in packaging technology at the Leeds Beckett University Retail Institute along with one of our biggest UK suppliers, ABP, to work together to find innovative new alternatives to plastic and materials that can be recycled more. We’re also setting up the Plastic Unwrapped Ideas Hub where we’ll set out our top plastic challenges and invite ideas to solve them from industry and individuals. If a scalable, workable solution is found, we will make an innovation award of £10,000. I’m confident that what we do today will make for a better tomorrow, particularly if we do it together. For full details of Asda’s commitments, read ‘Plastics Unwrapped – Our pledge to use less and recycle more’.